Below are just a guide as no two websites are the same. Click the button below to contact us. Updating your site, or creating a new website opens up a lot of options. An important consideration is to be mobile compliant. This leaves you with the choice: to use a responsive web design, or should you include a separate website for mobile visitors. Responsive designs will "flex" the webpages, fonts and images to fit many different types of mobile devices, tablet, smartphones and PC and Mac desktop and laptop computers. This allows for an optimal viewing experience no matter what type of device or computer the site is being viewed on. 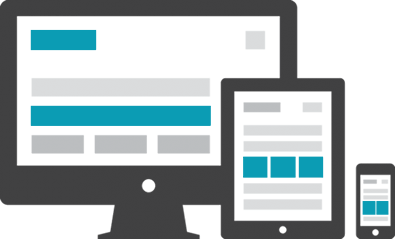 Responsive design uses Media Queries and other CSS and HTML code to detect the width of the web browser. Extra code is included with the website so it can render the pages differently for the different device widths. Here are some features that are included when we build your site for you. You don't need to worry about anything once on board. Your website will be content-managed which means you can update your website yourself with no little technical knowledge. You will have a mobile version of your site, as well as tablet and desktop versions. No need to zoom in and out or mobiles. Any elemnst of text, graphics, photos, contents, trademarks or other artworks for inclusion in the website are owned by you. Some web companies retain full ownership rights to your website and domain name, even after you paid for those services. We don't do that.